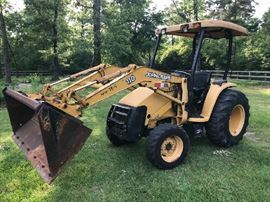 AddressThe address for this sale in Magnolia, TX 77355 will be available after 9:00am on Thursday, May 23rd, 2019. Come join us in Magnolia, Texas for a great estate sale that has something for everyone. This sale will offer a John Deere 110 tractor, tools for the handy man and mechanic, plus house hold items. Be on the look out for more details and pictures coming soon.